Familiar to many on Bay Street, Ryan and Kat, transformed Bymark into a 1920’s Prohibition Speakeasy “The TAP and KAT SPEAKEASY”, to celebrate their Nuptials on the eve of June 20th. 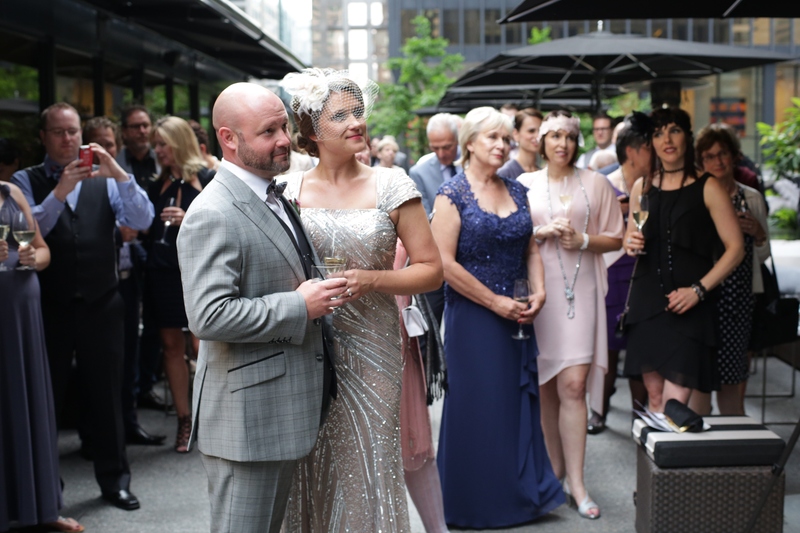 Dramatic black and white feather pieces lined the aisle at TD Plaza; Opera singers captivated guests and all who walked across the courtyard during that time. People stopped in their tracks; it was breathtaking. The mood was set as guests waited for the ceremony reading the TAP and KAT newspaper featuring funny articles about Prohibition and the 1920′s in Toronto and news about the bride and groom. Following the Nuptials in the Courtyard, guests decked out in suspenders, fedoras, pearls and fascinators gathered on Bymark’s patio lit with hundreds of candles, toes tapping to a live band, “Daylight for Deadeyes”. The Inside Bar at Bymark was “Closed for Prohibition”; the windows were wrapped with murals, painted by the Bride and friends, with silhouettes of flappers, fedora-topped bartenders mixing fancy cocktails, a saxophone player, and a DJ Spinning on a gramophone. Designer cocktails, conjured up by Bymark’s Senior Mixologists and the Couple, were styled after the bride and grooms personal tastes as well as their heritage. For months small batches of bourbon were barrel aged in personalized TAP and KAT burnt oak casks and sat on the bar as both a decoration and an ingredient to make the designer drinks. A special Estonian passed appetizer was created to celebrate the brides’ roots with little homemade Estonian flags perched in them ~ made by hand by the father of the bride! The brides’ mother made Fascinators that were left in the women’s washroom to be clipped onto women’s coifs and then advised to take selfies to send to the bride and groom. 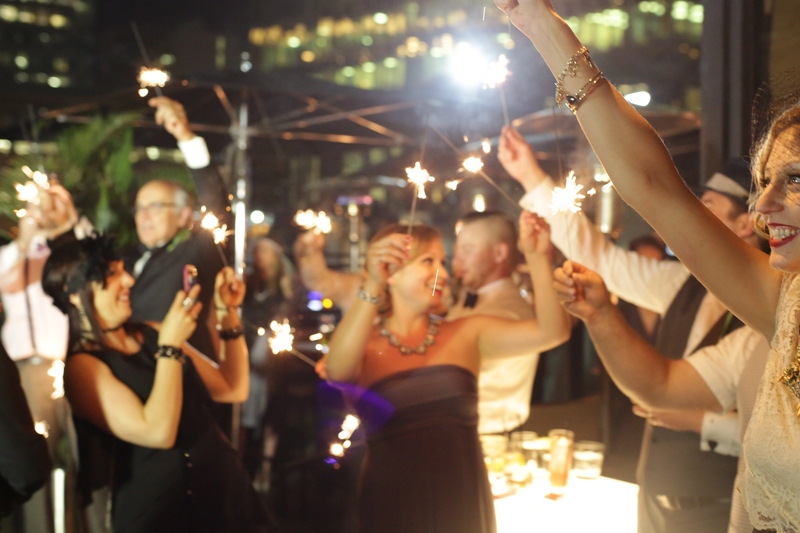 As the sun set, sparklers were given out and the guests lit them to celebrate Summer Solstice as the Bride and Groom danced with all their guests. A round-up took place at 11:07 p.m. with security hustling the guests inside due to “prohibition rules”. Guests were given glossy tickets onto which they had to write pieces of advice to the bride and groom in order to gain admittance to the Speakeasy. Inside Bymark, pictures from the 20’s played on the plasma screens featuring the old streets complete with trolleys, horses and wagons, men in elaborate three-piece suits and women dancing the night away in Jazz clubs. The groomsmen were the DJ’s, playing Electro-Swing and cool house music until the wee-hours of Summer Solstice. The wedding was elegant, magical and a treat for every guest. 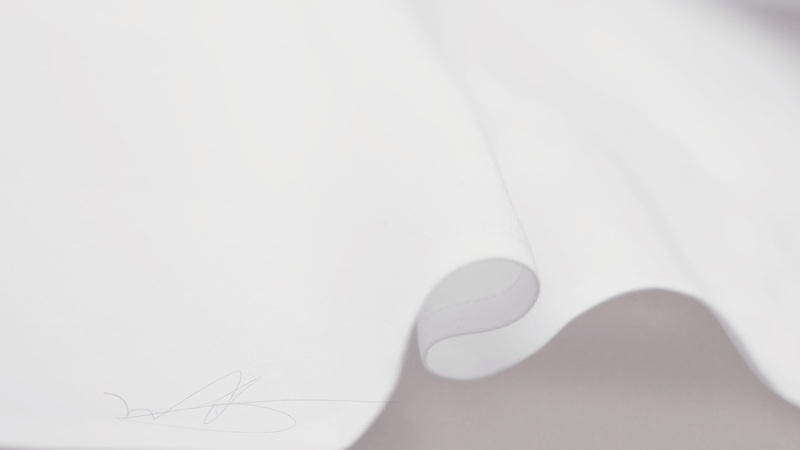 Check out our gallery for more photos! McEwan is changing how the downtown crowd does their grocery shopping. Nestled under the TD Tower along the P.A.T.H., our newest McEwan location is serving up 6,000 square feet of fresh, grab & go gourmet plus groceries for every meal of the day. Open Monday to Friday, McEwan welcomes morning commuters with authentic Italian coffee and espresso, and upscale items like fresh European pastries, quiches, waffles and yogurt parfaits plus gourmet breakfast sandwiches (even a breakfast pizza). Lunch-goers can choose from six freshly made soup features, a customizable Panini station, a 15-foot salad bar, and an impressive 32-foot chef’s hot table. Fitting for downtown, McEwan’s new location also features a food-truck-inspired pop-up menu, with mouthwatering daily features like gourmet tacos, poutine, and banh mi. But it doesn’t stop there. Chef de Cuisine Kris Topping, who is running the kitchen, has a lot to play with. Downtown shoppers can choose from a sprawling selection of freshly prepared meats like braised short ribs, pulled pork, whole chicken, lamb shank, rabbit, and a range of fresh seafood; paired with an equally large selection of gourmet sides and fresh vegetables. The new location will also feature hundreds of pantry items including homemade sauces, relishes and chutneys, as well as McEwan’s Own marinades, oils and pasta sauces. McEwan is so much more than a gourmet grocery store. 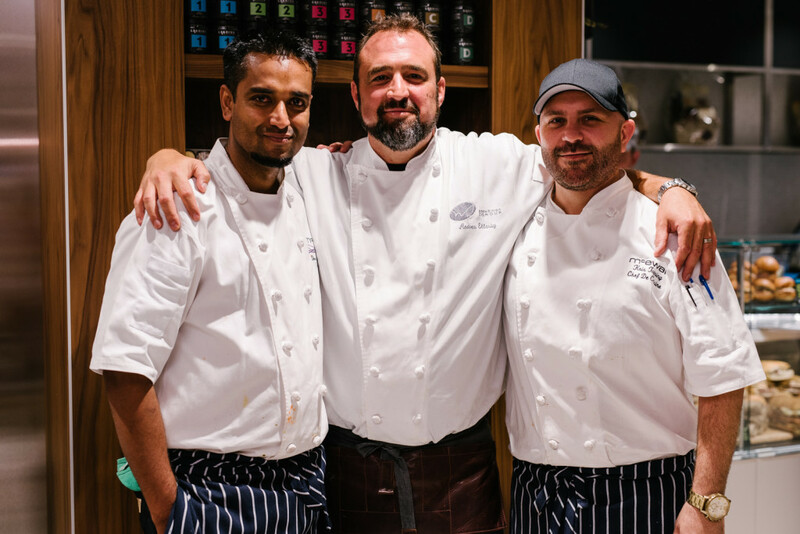 From traditional chicken tikka masala to lobster ravioli to Thai shrimp curry, Executive Chef Ousmand and his team are offering an unmatched selection of authentically prepared cuisine from around the world. And you better believe we cater. When company shows up on the fly and you need a really quick snack to keep everyone’s mouths happy, a lovely bowl of olives is always a quick fix. 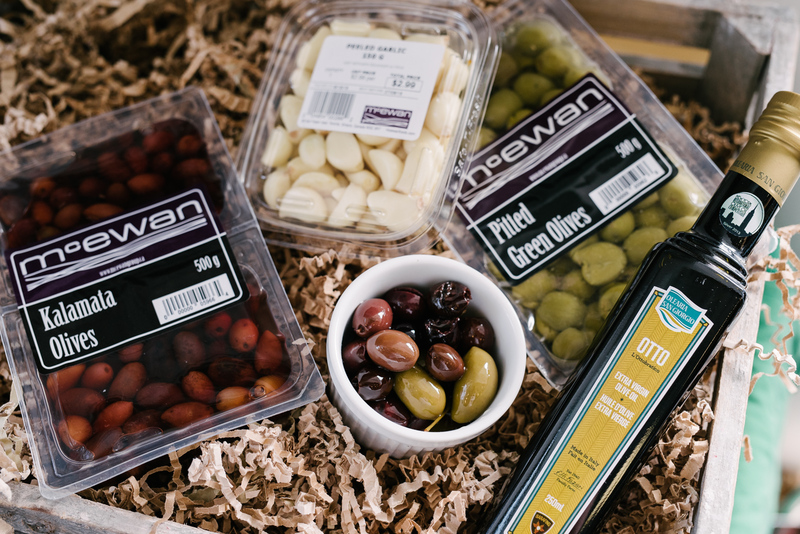 McEwan carries a wide range of imported quality olives with a variety of unique fillings and flavours. There’s Tabasco’s Hot & Spicy Whole Spanish Olives for the adventurous, Sable & Rosenfeld’s Tipsy Blue Cheese Olives for those who like a little bite, Acropolis’ Mediterranean Mix for Organics lovers, and Morgantino’s Green Olives for the traditionalist. If you want to take your olives to the next level, try serving them in a warm bath of fragrant olive oil, herbs and citrus. In this recipe I used a combination of McEwan’s Own vacuum-sealed Green Olives with Peppers and Kalamata Olives. Serve these in a bowl on a platter with bread and cheese, and you might have a hard time tearing your guests away for the main meal. In a small saucepan, heat the Sarafino extra virgin olive oil with the garlic, strips of zest, and whole rosemary sprig over medium heat until the garlic and rosemary become very fragrant and begin to caramelize, about 5 minutes. Fold the olives into the oil, along with the fine zest and minced rosemary. Toss to coat and transfer straight to a serving dish. Makes 4 Cups. Enjoy warm with cheese, bread and preserves. For this “Moments with Mark” we decided to ask him about life in 1987, which was popularly known for having the the largest one-day stock market crash in history. 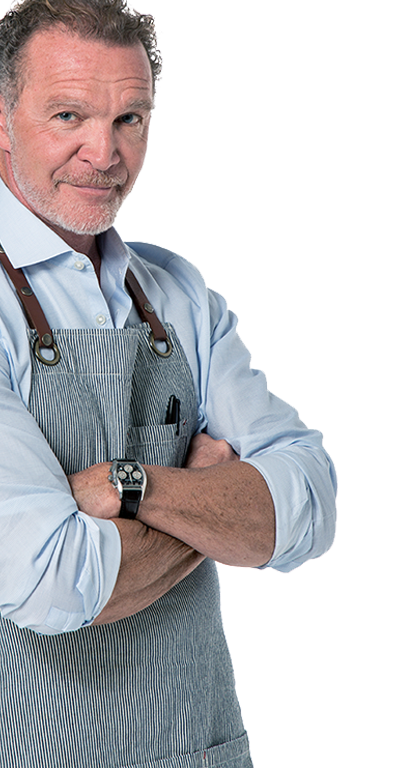 During this time, Mark McEwan was a young chef who was learning the ropes and taking risks. Back in March of that year Mark is pictured with Marion Kane, a veteran food editor at the Toronto Sun who has cooked for the likes of Julia Child. Here he shows her the art of pasta making. When the above photo was taken you were still the co-owner of Pronto Ristorante. What was it like opening your first restaurant? One word: Terrifying. There was no guarantee on your next pay cheque and I had a baby on the way. What was the biggest struggle as a young chef in Toronto? Getting established in Toronto was the biggest struggle. For me, it was all about getting your foot in the door. 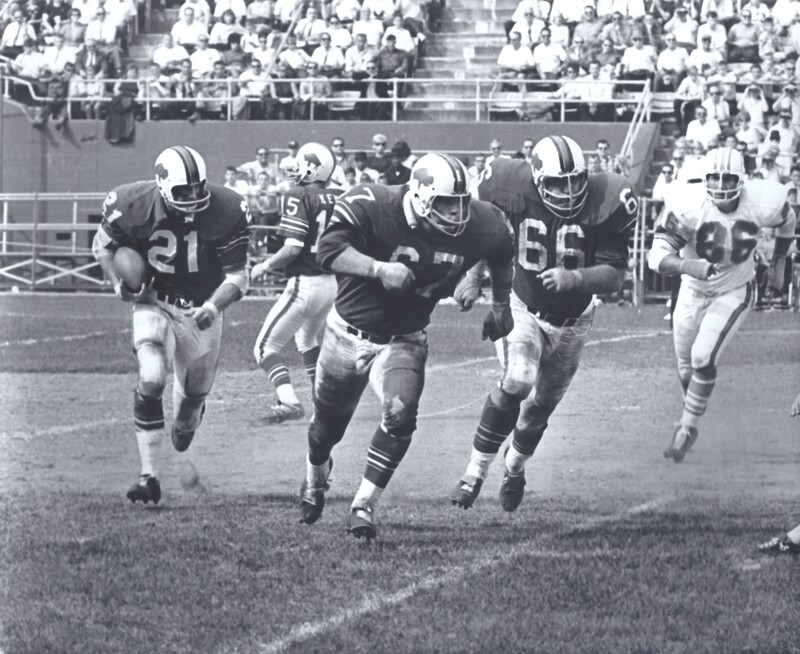 The Giants won their first Super Bowl that year against the Broncos. Which NFL team are you rooting for these days? At the age of 16, Lance Armstrong decided to start his career as a professional athlete in 1987. Other than pursuing a career in the restaurant industry, did you have any other aspirations growing up? A fighter pilot. Go figure! 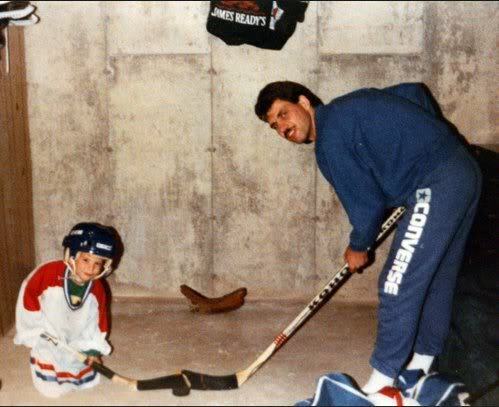 On August 7, 1987, Canadian Olympic Gold Medalist Sidney Crosby was born. Fun fact: he is extremely superstitious. Do you have any rituals or traditions specifically when opening a new restaurant? No Superstitions. Opening a restaurant is terrifying. So just hang on and hope you get it right. Michael Jackson released his 7th studio album “Bad” that year. Who are you a bigger fan of: MJ or Prince? In September of 1987 Joe Biden withdrew from the President nomination race. 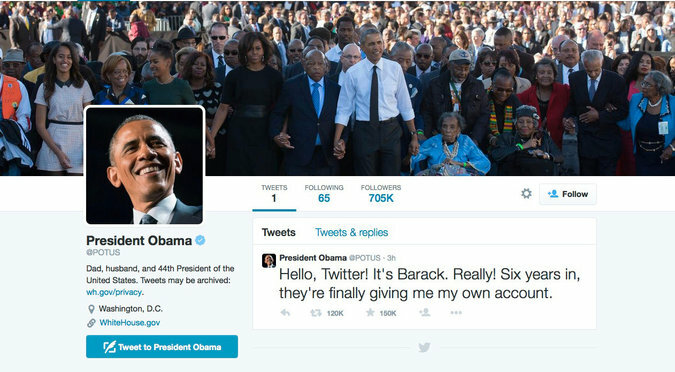 This year Barack Obama will be finishing his term. Who do you think will win the handle of @POTUS (President of the United States)? #Summerlicious 2015 is finally here! Food lovers and restaurant goers rejoice, Summerlicious is finally here! Time to get out and explore Toronto’s diverse cuisine. The food festival began in 2003 with 35 participating restaurants and has grown to now more than 200! All of The McEwan Group restaurants look forward to coming up with new and interesting three-course prix fixe menus for Summerlicious that showcase some of their favourite dishes of the season. To book your reservation, click on Bymark, Fabbrica, North 44, or ONE Restaurant! 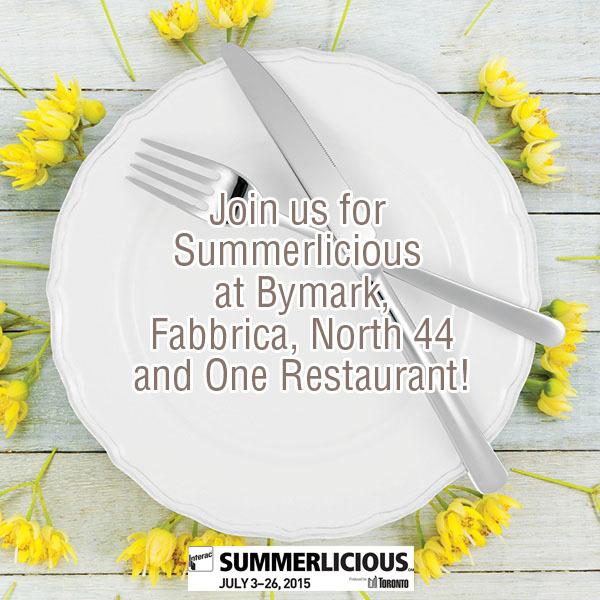 Here’s a sneak peak of Fabbrica‘s exquisite Summerlicious dishes!